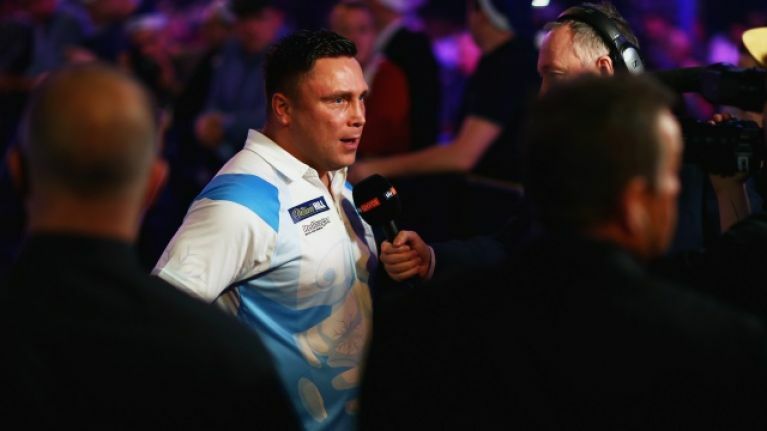 Gerwyn Price has discovered his punishment for his antics against Gary Anderson in the Grand Slam of Darts final. Price's provocations in November's final behaviour "drew an unprecedented number of complaints from members of the public" according to a statement from the Darts Regulation Authority on Wednesday. 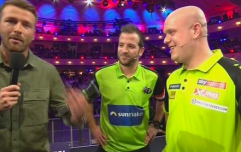 Price and Anderson clashed on a couple of occasions in a feisty decider which was ultimately won by the Welshman but the confrontations, rather than the darts, ended up dominating the headlines. Anderson took umbrage with Price's slow play and aggressive celebrations before physical contact was made between the players towards the end of one of the most controversial matches in recent memory. STATEMENT | The Darts Regulation Authority have released a statement further to the 2018 bwin Grand Slam of Darts Final. Price has now been fined a grand total of £21,500 and given a suspended three-month ban for his behaviour, while Anderson has received a formal warning. Price was fined £12,000 for his antics against Anderson and £1,500 for his social media posts that were deleted quickly after they were published while he has also been hit with a £8,000 fine for his behaviour in the tournament's quarter-final against Simon Whitlock. Wednesday's statement reads: "The Committee found that Mr Price had brought the sport into disrepute by his actions and that they amounted to gamesmanship in his matches with Mr Whitlock and Mr Anderson. Mr Price’s actions were very serious and went beyond what was acceptable in his celebrations and he was overly aggressive in his behaviour in his matches. It was decided that his actions were a cynical attempt to put off his opponents to gain him an advantage." Both players have 14 days to appeal the decision of the Tribunal.